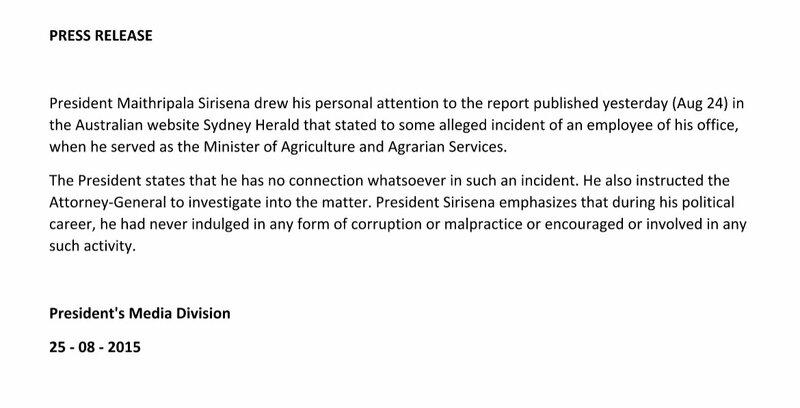 The President’s Media Division (PMD) on behalf of the President this evening, issued a statement denying involvement in corruption he is alleged to have committed during his tenure as Minister of Agriculture and Agrarian Services. Referring to an article that had appeared in the Sydney Herald the statement said the President had emphasised that he had at no time indulged in any form of corruption or malpractice. The statement said the Attorney General had been notified and instructed to investigate the matter. 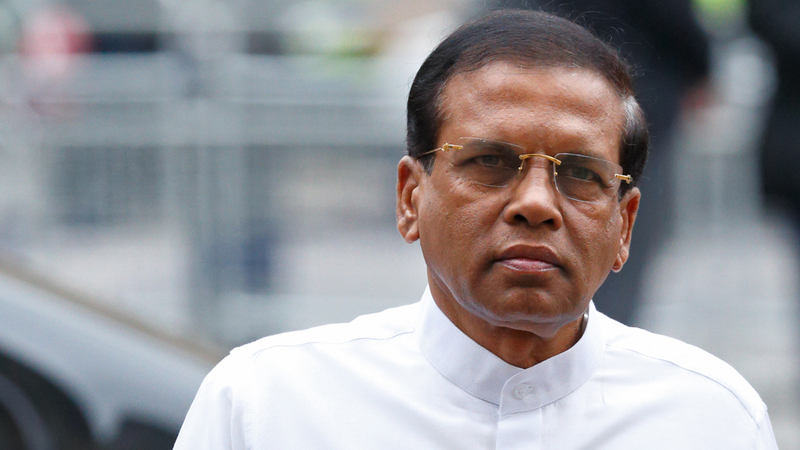 The Sydney Morning Herald reported yesterday, that investigations had uncovered documents linking Australian company Snowy Mountains Engineering Company (SMEC) with the Sri Lankan President Maithripala Sirisena. The documents, now being evaluated by the Australian Federal Police said that the ‘Sri Lankan President Maithripala Sirisena and his advisor had allegedly demanded a political "donation" to be paid by SMEC,’ during the period he was Cabinet minister. The SMH reported in the wake of foreign bribery allegation, the discovery will force Australia, which prides itself for being a clean country to do business, to reform its failing anti-corruption framework. Sydney Morning Herald are gossip tabloids. The New York Times reported on 18th August 2016 that the Sydney Morning Herald is facing an uncertain Print Future. So they want to create false sensational news to increase their sales and for recognition. They are a non-entity. It is time that they be sued out of house and home. Sydney Morning Herald is in the big league. 99% of readers don't even know who is MS and they cant increase their sales by talking about Mithreepala.